Balthazar Johannes "B. J." Vorster (Afrikaans pronunciation: [ˈbaltɑːzar jʊəˈhanəs ˈfɔrstər]; 13 December 1915 – 10 September 1983), served as the Prime Minister of South Africa from 1966 to 1978 and as the fourth State President of South Africa from 1978 to 1979. Vorster was known for his staunch adherence to apartheid, overseeing (as Minister of Justice) the Rivonia Trial in which Nelson Mandela was sentenced to life imprisonment for sabotage, and (as Prime Minister) the Terrorism Act, the complete abolition of non-white political representation, the Soweto Riots and the Steve Biko crisis. He conducted a more pragmatic foreign policy than his predecessors in an effort to improve relations between the white minority government and South Africa's neighbours, particularly after the break-up of the Portuguese colonial empire. Shortly after the Internal Settlement in Rhodesia, in which he was instrumental, he was implicated in the Muldergate Scandal and resigned the premiership in favour of the ceremonial presidency, which he was forced to give up as well eight months later. Vorster was born in 1915 Jamestown, Eastern Cape, Union of South Africa, the fifteenth child of a successful sheep farmer. He attended primary school there. Vorster entered Stellenbosch University, known as the "cradle of Afrikaner nationalism" to study Law. With six out of the seven South African Prime Ministers between 1910-1971 having been students there, its influence on the development of Afrikaner culture has been profound. Vorster involved himself in student politics becoming the Chairman of the debating society, deputy chairman of the student council and Leader of the junior National Party. In 1938, Vorster graduated to become a registrar (judge's clerk) to the judge president of the Cape Provincial Division of the South African Supreme Court. But he did not remain in this post for long, setting up his first law practice in Port Elizabeth and his second in the Witwatersrand town of Brakpan. From 1939, Vorster attracted notoriety by strongly opposing South Africa's intervention on the side of the Allies and their former foe the United Kingdom, in World War II. More out of an anti-British feeling than a positively pro-Nazi spirit, many Nationalists enthusiastically hoped for a German victory. Vorster rose rapidly through the ranks of the Ossewabrandwag becoming a general in its paramilitary wing. His involvement with this group led to his detention at Koffiefontein in 1942. Following his release in 1944 from that detention camp, Vorster became active in the National Party, which began implementing the policy of apartheid in 1948. Although racial discrimination in favour of whites had long been a central fact of South African politics and society, the National Party institutionalised racism through apartheid legislation. In 1953, Vorster was elected to the House of Assembly representing the seat of Nigel in the Transvaal. He was appointed as Deputy Minister in 1958. He was an MP during the terms of prime ministers D.F. Malan, J.G. Strijdom and Hendrik Verwoerd. Vorster's past as a draft-dodger and Nazi sympathiser came back to haunt him. Vorster answered his critics by saying that he had now "come to believe in" the parliamentary system. A leader of the right wing of the National Party, he was appointed Minister of Justice in 1961 by PM Verwoerd, an outspoken mentor and idol of Vorster, and he combined that with Minister of Police and Prisons in 1966. Upon Verwoerd's assassination in 1966, Vorster was elected by the National Party to replace him. He continued Verwoerd's implementation of Apartheid legislation, and in 1968 abolished the last four parliamentary seats that had been reserved for white representatives of Coloured (mixed race) voters (realised in 1970). Vorster's rule nevertheless oversaw several other such proposed bills dropped and the repealing of legislation prohibiting multi-racial sports teams to allow for South Africa to be admitted to the 1968 Summer Olympics in Mexico. Due to the protests of numerous African nations, however, the proposed team was rejected from competing. As a personal figure Vorster was described as "flesh and blood" by Progressive MP Helen Suzman in contrast to the "diabolical" and "frightening" Verwoerd. His supporters held him in great affection for his eccentric and sometimes humorous manner. Notable examples of this were the occasion when he briefed the opposition in his private chambers, his allowing pictures of himself to be taken in often precarious situations and then to be distributed publicly as well as his welcoming of foreigners, in his words, to "the happiest police state in the world". This new outlook in the leadership of South Africa was dubbed "billikheid" or "sweet reasonableness". He alienated an extremist faction of his National Party when it accepted the presence of Māori players and spectators during the tour of the New Zealand national rugby union team in South Africa in 1970. Most notably, Vorster was more pragmatic than his predecessors when it came to foreign policy. He improved relations with other African nations, such as by the adoption of his policy of letting Black African diplomats live in white areas in South Africa. He unofficially supported, but refused officially to recognise, the neighbouring state of Rhodesia, whose predominantly white minority government had unilaterally declared independence from the UK in 1965. Vorster followed white public opinion in South Africa by supporting Rhodesia publicly, but was unwilling to alienate important political allies in the United States by extending diplomatic recognition to Rhodesia. The collapse of Portuguese rule in Angola and Mozambique in 1975 left South Africa and Rhodesia as the sole outposts of white minority rule on the continent. While Vorster was unwilling to make any concessions to his country's blacks, he soon concluded that white rule would be untenable in a country where blacks outnumbered whites 22:1. In September 1976, under pressure from US Secretary of State Henry Kissinger, he pressured Ian Smith, the Rhodesian Prime Minister, to accept in principle that white minority rule could not continue indefinitely. Smith and non-militant black nationalist leaders signed the Internal Settlement in March 1978, and in June 1979, following multiracial elections, Rhodesia was reconstituted under black majority rule as Zimbabwe Rhodesia. After the Soweto Uprising in 1976, as Prime Minister, Vorster encouraged the Department of Information to engage in clandestine activities in and outside South Africa. Vorster did not inform his cabinet of these activities and financed them through a secret defense account. When the auditor general made a critical report, a scandal broke out, ultimately leading to the resignation of Vorster. This scandal was colloquially known to some as "South African Watergate". Vorster resigned as Prime Minister in 1978, after twelve years in office. He was succeeded by P. W. Botha, a hardliner who nevertheless began the first reforms to moderate the Apartheid system. Following his resignation as Prime Minister, Vorster was elected to the largely honorary position of State President. His tenure in that office, however, was short-lived. 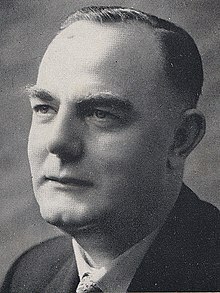 In what came to be known as the Muldergate Scandal so named after Dr Connie Mulder, the Cabinet minister at the centre of it, Vorster was implicated in the use of a secret slush fund to establish The Citizen, the only major English language newspaper that was favourable to the National Party. A commission of inquiry concluded in mid-1979 that Vorster "knew everything" about the corruption and had tolerated it. He resigned from the presidency in disgrace. In 1982, John Vorster supported the Conservative Party of Andries Treurnicht at its founding congress. He died in 1983, aged 67 years. Using the Group Areas Act, Stellenbosch University dispossessed coloured residences of central Stellenbosch of their land in order to expand the university. They named the building built there after BJ Vorster, an alumnus and chancellor of the university. It was renamed in the 1990s. Johannesburg Central Police Station, was formerly called John Vorster Square, and was the home of South Africa's Special Branch during the apartheid era. Known as B. J. Vorster during much of his career, he came to prefer the anglicized name "John" in the 1970s. Vorster, Balthazar Johannes (1976). O. Geyser, ed. Geredigeerde toesprake van die sewende Eerste Minister van Suid-Afrika: 1953-1974 [The edited speeches of the seventh prime minister of South Africa: 1953-1974] (in Afrikaans). Bloemfontein: Instituut vir Eietydse Geskiedenis, UOVS. ^ a b c d e f "Balthazar Johannes Vorster". South African History Online. Retrieved 5 January 2011. ^ a b c d e f Bookrags.com. "Balthazar Johannes Vorster Biography". Retrieved 5 January 2011. ^ "South Africa: A Touch of Sweet Reasonableness". Time. 31 March 1967. ^ "APF newsletter, "Appraisal of Rhodesia in 1975"". Archived from the original on 31 May 2009. ^ Crapanzano, Vincent (1985). Waiting: the Whites of South Africa. New York: Random House. p. 105. ^ Grundlingh, Albert. "Die Vlakte" (PDF). www.sun.ac.za. ^ Hawthorne, Peter (4 October 1976). "'A Cool Man on a Lion Hunt,' South Africa's John Vorster Tries to Head Off a Race War". PEOPLE.com. Retrieved 2018-05-28. This page was last edited on 9 December 2018, at 06:36 (UTC).